It’s been a while since I’ve written up a mini review for one of my year-based movie marathons (1967, 1968, 1977, 1978, 1985, 1986, 1987), and that’s because I was still planning on watching a few more movies for 1988, but I sort of stalled at the start of the year. Even though there were a few more films I was planning on watching, I think I’m going to call it here, and move on. Next up should be a viewing of films released in 1969, but I’m in no big hurry. For now, here’s the list — in alphabetical order — of all the movies I watched from 1988 (or you can find the posts through the “1988” tag). I finally have the name to associate with a type of old-school diner/coffee shop I love so much: googie (here are some photos). I came across it while reading an article in a recent issue of Monocle (the October 2018 issue, which I hadn’t finished reading). Although it’s a disappearing genre, there’s a bright spot in that the article talks about a resurgence in popularity, in the form of renovation work to classic joints (the article’s focus is on LA, which features them more than the box-like diners we tend to see on the east coast). 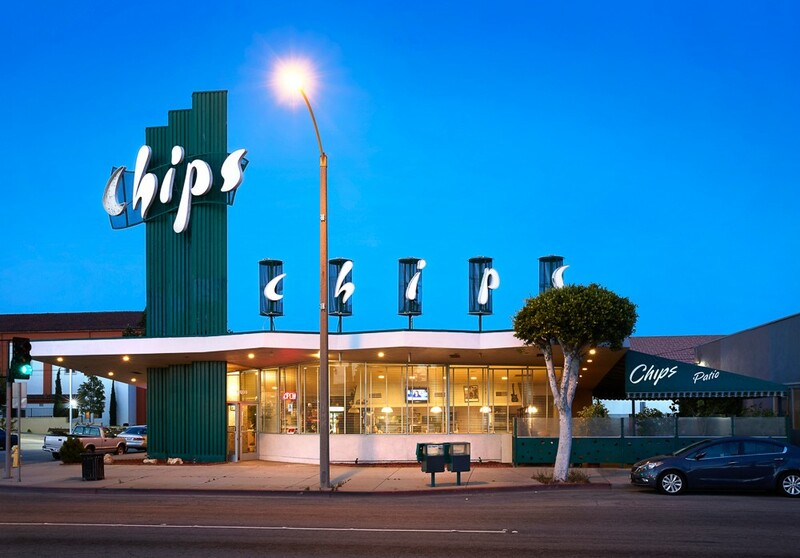 Chips coffee shop in LA. Each episode has a title “game box,” like this one. If you’re at all interested in gaming culture, I can’t recommend enough The Artists: The Pioneers Behind the Pixels, a series of short (about 10-minutes each) documentaries released last year that take a look at various aspects of gaming history, produced by the CBC. There are 10 episodes in all, and you can stream them through the CBC Gem app or web access (a name I really quite dislike and don’t understand). Big thanks to my Ubi colleague Fred for bringing this to my attention. Being the game history/cultural nerd that I am, I did already know most of these stories (for example, if you enjoy the Doom episode, then you really need to read the fantastic book Masters of Doom), but I did still get a kick out of revisiting all of this, and enjoyed the interviews and presentation (the series is slickly made with a retro aesthetic). It also made me quite nostalgic for the Electronic Arts of old. 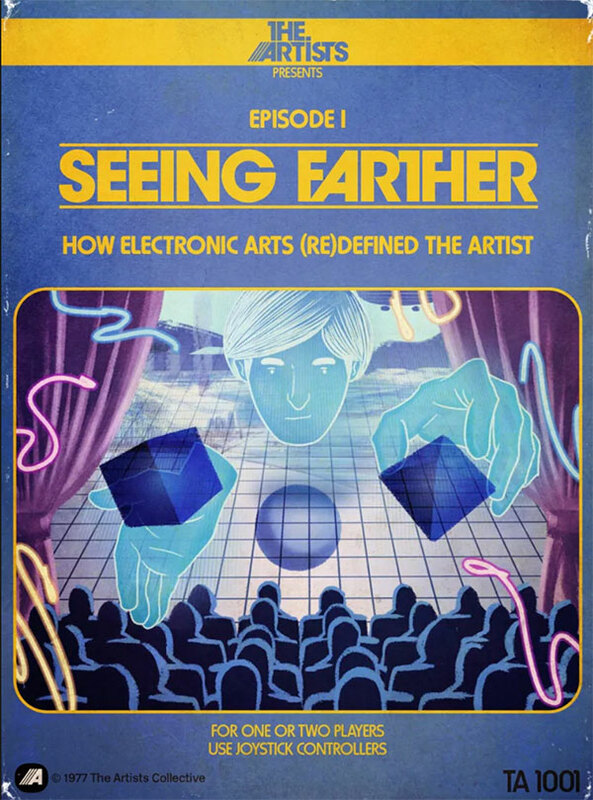 Groundbreaking ad for Electronic Arts from 1983. I’ve been feeling a bit bad lately that I haven’t been writing much here — something that I like doing for myself, as a continuation of what I started way, way back in 1998. So just like I gave myself a challenge to get back into reading books in a bit of an agressive way (2 books a month, which I’m still pretty much on track with), I’m giving myself a writing challenge as well, and that’s to write at least five posts a week — long and short — until the end of May. I’ll be off from work for the next six Mondays in a row (something I did in August of last year, that I found to be quite enjoyable), starting this week, and so hopefully that’ll help give me more time to write. At work I like to organize some fun times at the end of every week — I even have a name for it, the “Friday Fluke.” Part of it is getting a drink, relaxing a bit with colleagues, and playing some games (our go-to tends to be various forms of Werewolf). Last week I introduced a new part to it, and that’s to encourage everyone to do a presentation about something they’re passionate about using the PechaKucha format. The idea is to have fun and get to know each other better, so it can be about anything, like your favorite albums, a trip you took, etc. I kicked it off with a round-up of my 10 favorite anime series (not including movies), and so here’s what I came up with, in alphabetical order. Or to me, Albator, as he is known in French, which is the language I watched it as a kid. I believe it was the 1978 series, and it’s my favorite cartoon from my childhood. It’s a bit surprising in a way, because I’m sure so much of it went over my head, but I was obsessed with Harlock’s ship, and my go-to building project with my LEGO blocks was to create giant ships that looked like it. I always consider this as one of my very favorite series, and I think it’s as close to perfect as a series gets for me. Great characters, an awesome soundtrack, and fun space adventures. What else do you need? Another series from the 70s (and in fact, 1978 as well), I only watched it a couple of years ago, and found it to be hugely enjoyable. Directed by Hayao Miyazaki, you do get a lot of proto-Ghibli feels, despite the admittedly crude animation (standard for the time). I’m a huge fan of Junji Ito’s horror manga — favorites include Tomie and Uzumaki — and this is a fantastic adaptation of his short stories (each episode is made up of a few shorts). It was produced last year, but I already consider it a favorite. I’m a longtime Lupin fan, and I’ve enjoyed pretty much everything I’ve seen, which includes various TV series, TV movies, and movies (Miyazaki’s Castle of Cagliostro is a fave). Most recently we got the Part V series, and it’s just as fun as any other Lupin series. Based on the manga by Naoki Urasawa — one of my favorite mangaka — this anime adaptation is massive (over 70 episodes), and riveting. I absolutely loved watching it as it was airing, anxious to see where it would end up going (I had never read the manga, strangely). Well, it is a classic, and not for being a giant mech show, but rather for everything it did to deconstruct the mech genre, and mess with everyone’s expectations. I haven’t re-watched it since back in the day, but I am excited to revisit it when it shows up on Netflix this summer. I’m a huge fan of Satoshi Kon’s films, and loved this series — the only one he created — just as much. Psychologically daring and visually aggressive, same as with his movies. Goro Miyazaki — Hayao Miyazaki’s son — doesn’t get a lot of love, but I quite enjoyed this series he directed a few years ago, the only Ghibli TV production. The use of CG was criticized, but I thought he managed to create a lovely series, with a lot of fun character moments. I usually consider my top 3 series to be this, Cowboy Bebop, and Monster. Just like Bebop, you get the fantastic soundtrack (here hip-hop instead of jazz), the great characters, and the fun adventure. Even better is how the hip-hop influences the aesthetics and pacing of the show. Jake Kazdal is a force of nature. And I’m lucky enough to have him as a buddy. He also gave me my first ever game credit — a thank you in his game Skulls of the Shogun, that he released under his indie studio now called 17-bit, but at the time called Haunted Temple Studios. 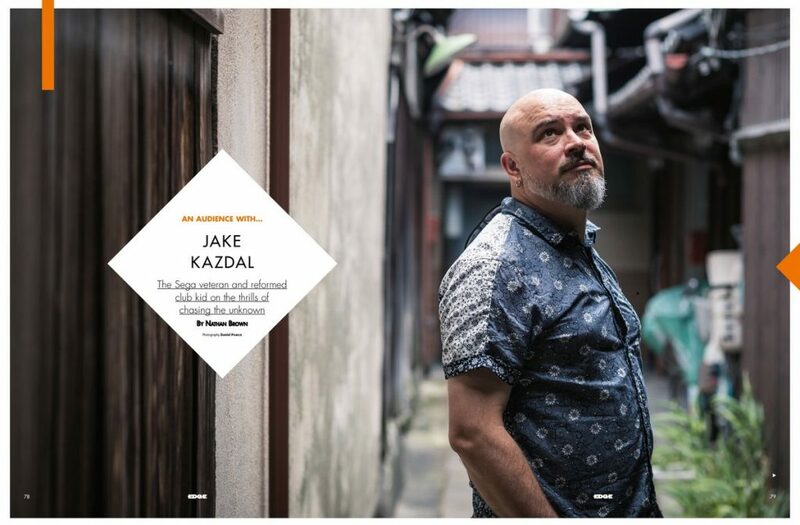 Jake Kazdal, as featured in the March 2019 issue of Edge. I’ve spotted him a few times in Edge magazine over the years, but in the latest issue (March 2019) he gets his very own featured interview, which offers up a fantastic look at what it was like to work at Sega in the early days of the Dreamcast (one of my all-time favorite consoles). Take the time to read it to also get a look at what it’s like to be a foreigner running an indie studio in Japan (he’s based in Kyoto, as is 17-bit studios). Changing the look of my blog used to be something I loved to do, whether it was creating a new look from scratch or heavily customizing themes and templates I would find online. I’d do it on an almost seasonal basis. This “design” aspect of blogging is something I’ve lost interest in along the way, with the only thing keeping me going being the desire to write. For that reason, when I started blogging more heavily again a few years ago, I was fine with using the default “Twenty Fifteen” WordPress theme. This past weekend when I went into the back-end to write a couple of posts, I saw I could upgrade to version 5 of WordPress — which I did — and with it came a brand new default theme, “Twenty Nineteen,” which is what you’re seeing now if you’re reading this post on my website. It’s simple and minimalist, which is how I like my design, with some nice typography, and so I’m happy to switch to it. I still want to customize it a bit more (just tweaks that are baked into the customization options), and will add a few new pages to flesh things out (like an “About” page, which I haven’t had for years). Part of the customizable aspects of the new theme that I liked was to have a little tagline at the top, following the site’s title. Writing that, I realized that I didn’t really commemorate the fact that as of last year, I have been blogging pretty regularly for over 20 years. The archives on this site go back to 2002 (this is the first post), but that just marks my start of using Blogger as a proper engine for my blog (which later changed to Movable Type, and then to WordPress). My origins of writing regularly on the web started in 1998 (in the summer I think) when I launched a site to celebrate Acadian culture (the French-speaking culture from where I grew up), and as part of the content for the site I wrote a weekly column about my life in Japan (I had moved there in May of that year). That site lasted about 3 years, and since I wanted to continue writing regularly about my life in Tokyo, I launched my own site, jeansnow.net. For at least a year, I continued to write and code everything in HTML, until I came across this thing called Blogger that looked like a pretty great way to automate a lot of what I was doing. And now, over 20 years later, here I am writing this post. At work I produce a weekly newsletter for our team (we’re over 300, with the majority in Montreal, but with a few satellite groupings around the world) that’s meant to be a fun, social update on what’s going on within the team. I do it because I like the exercise of producing it each week (it’s not really part of my “job description”). The main feature of each edition is an interview with someone from the team — to help us get to know each other better — and this week I was the one who did it. I figure why not share it here. Jean, since when have you been working at Ubisoft + how would you describe your job/role to your grandma (or to your 5-year-old niece)? Next week will mark my 3rd anniversary at Ubisoft [hired in February 2016]! I tell people that my team helps support all aspects of the company, from the nitty-gritty of the games all the way to our customer support. I think that’s easy enough to understand. What is the most interesting job you had before joining Ubisoft? Could you tell us about your most embarrassing moment (at work or elsewhere)? I feel like I probably do an embarrassing thing every single day of my life, and the trick is just to own it. I’m especially fine with it if it makes people laugh. Is there a project/achievement you are really proud of? I’m generally proud of anything that people end up enjoying, and I’d say recent projects include last year’s hackathon [an internal hackathon I helped organize for the team], and all of the newsletters I produce for our teams, including, of course, this very newsletter [my work relates mostly to product management, and one of the things I like to do is produce newsletters to update users/stakeholders on the state of our internal tools and services]. Do you have a favourite movie, TV series, game, comics, book and/or album/band? Movies: I’m a huge James Bond fan, and have owned the entire series on VHS, DVD, Blu-ray, and now watch them digitally. I re-watch them quite regularly. Right after this are probably the first three Indiana Jones movies. I also need to point out the films of Zhang Yimou, which impacted my choice to study Chinese culture and the language (and Bernardo Bertolucci’s The Last Emperor). TV: My favorite series of all time is Twin Peaks. Game of Thrones is right up there too. I also loved Freaks and Geeks, even though it only lasted one season. Magazines: I’ve been a huge magazine addict all my life. When I was a kid, it was Electronic Fun with Computers and Games and Dragon. For a good part of my life it was Wired (and so I was especially thrilled to be a regular contributor to Wired’s Game|Life blog for a while). These days, it’s Monocle and Edge. Comics: My favorite comic series of all time is G.I. Joe: A Real American Hero, written by Larry Hama, that I read as a kid and still read now. Bandes-dessinées: Pretty much the classics like Tintin, Spirou, Gaston Lagaffe, Astérix, Lucky Luke – and Yoko Tsuno. Anime: My favorite anime series of all time are Cowboy Bebop, Monster, and Samurai Champloo. In movies, pretty much all the Ghibli movies, and the work of Satoshi Kon (Perfect Blue, Paprika) and Mamoru Hosoda (Summer Wars, The Girl Who Leaped Through Time) — and Akira. 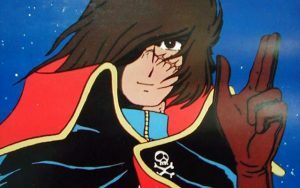 As a kid, it was Albator (Captain Harlock). Video Games: My favorite series is The Legend of Zelda, and in general I’m a big Nintendo fan, and especially love Mario platformers. Board Games: For dungeon crawling it’s Gloomhaven, for social deduction it’s Coup (and Ultimate Werewolf Legacy, for its narrative track), and for narrative it’s Detective: A Modern Crime Board Game. Music: My two favorite bands of all time are The Pixies and Pizzicato Five. Could you share one surprising thing your colleagues do not know about you? Even though I lived over 15 years in Japan, before moving there I was actually studying Chinese (as part of the East-Asian Studies program at l’Université de Montréal). As part of those studies I went to a university in China (Nankai University in the city of Tianjin) for an intensive language program, met a girl who was Japanese, and moved to Tokyo with her. We’re still married today. The most memorable one was probably our trip to Peru three years ago, and hiking up to Machu Picchu. I’ve written about Archipel (and their flagship series, Toco Toco) countless times — most recently in this post — and it continues to be one of my favorite web documentary production crew (and yet again, I included them in my favorite media of the year list). I need to point out that the group recently launched a Patreon to help support their production work. There’s no one documenting Japanese-related culture — with a focus on games, manga, anime, and art — like them, and certainly not as beautifully shot and presented. If you haven’t already, take some time to go through their archives of videos. I find it a bit funny and strange that last week I found myself playing not one, but two games from Harmonix, having terrific play experiences with each. Sure, I’ve enjoyed Rock Band games in the past (especially the Beatles one), but I hadn’t played anything from them in a while, and although it’s a coincidence I found myself playing both DropMix and Amplitude at the same, it’s a happy one. DropMix is an electronic board/card game the company released a year or two ago. I remember hearing it was fun, but it was a bit of a pricey game, and so I didn’t really think it would be something I’d pick up. For some reason, Amazon in Canada currently has the base game on sale for $20, and that was enough for me to take the plunge, and I’m sure glad I did. I’ve played a bunch of times so far with colleagues at work, and we’ve all had a really fun time with it, with everyone really liking it. There’s actually some fun strategy involved in playing the cards, and the fact that you create live mixes as you play cards — that sound good — just adds such an enjoyable vibe to the play sessions. I won’t lie, I definitely want to pick up more cards for the game (they released extra packs of cards), and so I’m keeping my eye on the price. For Amplitude, it’s a rhythm game that originally came out on the PS2 — which I never played at the time — and then got a PS4 remake a couple of years ago. It’s free this month through PlayStation Plus, so I gave it a go, and couldn’t stop playing. The music selection is terrific — in that it’s so perfectly suited for the gameplay — and I found myself addicted to the hectic “get in the zone” type of play. As much as I’m enjoying both of these games right now, I do admit that it’s a bit sad that not only did I not support them when they originally came out, Harmonix isn’t really getting much of my money at this point in time. But hey, I am thankful to finally be playing them, and definitely recommend others do so as well.